AFT = ALVEO Financial Tower, etc / Residential to Office balance - see post #?? 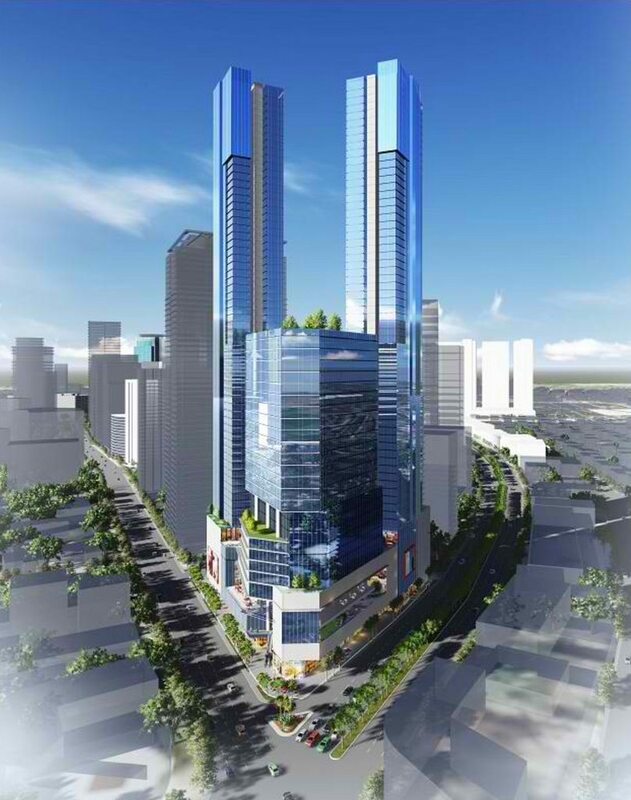 Contrary to initial information, this Ayala Avenue office project will actually be developed into a Premium office building and not into a Grade A structure. What’s the difference between Premium and Grade A? First off, the amenities are markedly different. The finishes and materials used are of a higher quality and the location is normally in a major, normally a landmark, thoroughfare. Which is why when we first heard that the development was going to be Grade A something felt amiss. 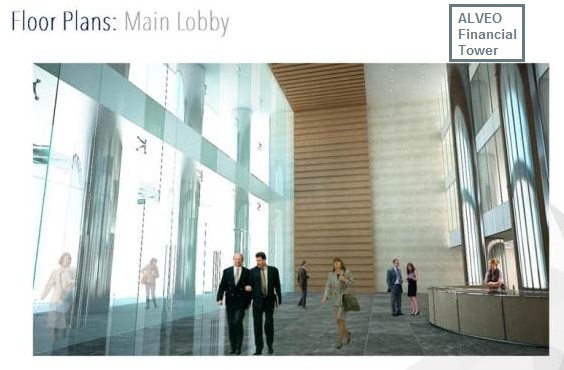 So it is fantastic to know that Ayala decided to go premium for the Alveo Financial Tower. Inflow of overseas companies for outsourcing as well as the demand from local entrepreneurs has been increasing rapidly. Currently, office occupancy is very high with only 5-6% vacancy rate as compared to a 15% vacancy rate last 2001. In previous years, property developers of office space kept their corporate leasing clients to themselves. Office space is rarely sold to retail clients. Compared to residential leasing, corporate leasing usually has longer leases. An office investment can actually yield a conservatively low 5% return on its first 3 years and increase to 7-10% return as the building occupancy gets higher. This means that the rental return from a 2-3% bank interest rate will take 30 years as compared to what the office property can give in a short span of 10-12 years. 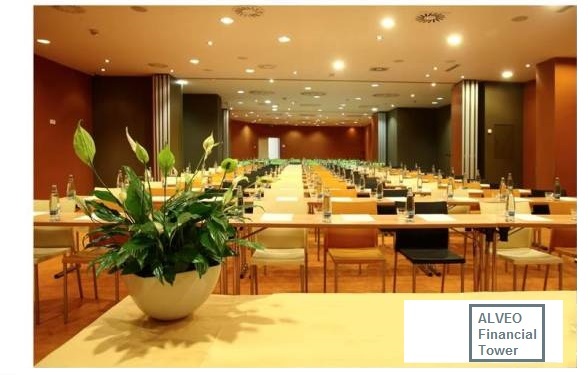 Because corporate offices are constantly in the public eye, most corporate tenants maintain the unit very well which is very beneficial to the owner. Corporate clients are also easier to deal with as they already have admin staff to fix most of their worries vs. residential clients who will need the landlord’s assistance in most of their concerns. Since you are providing them a shell space only, most of the time, your corporate tenant would just deal with the building admin for their daily concerns and regular maintenance. With low rates offered by banks, buyers are able to get lower cash out and longer no interest charges in house terms of their purchase. What was once an area exclusively for moneyed investors has now become affordable and within reach for first time investors. City Gate is strategically located on Ayala Avenue, in the corners of Amorsolo and Salcedo Streets, making it highly accessible to major thoroughfares such as Ayala Ave., Sen. Gil Puyat Ave., and the Skyway. It will soon be constructed with elevated walkways that will also connect City Gate to Ayala Center and to the rest of the CBDs. City Gate's location is also surrounded by some of the top schools in the country such as Don Bosco Technical Institute, Assumption College, Colegio San Agustin and Asian Institute of Management. It is also nearby shopping malls like Glorietta, Greenbelt, Alphaland Southgate Mall and SM Makati and a wide range of residential condominiums and accommodation options such as Oriental Garden Condominium, San Lorenzo Place, Makati Shangri-La, Crown Regency, Eurotel Makati and InterContinental Manila. City Gate's 120,000 square meters gross floor area will be divided into four: 53,000 square meters will be alloted for business process outsourcing (BPO) firms, 28,000 square meters for traditional headquarter-type offices, 25,000 square meters for a key Seda Suites Hotel and 14,000 square meters for s retail mall. 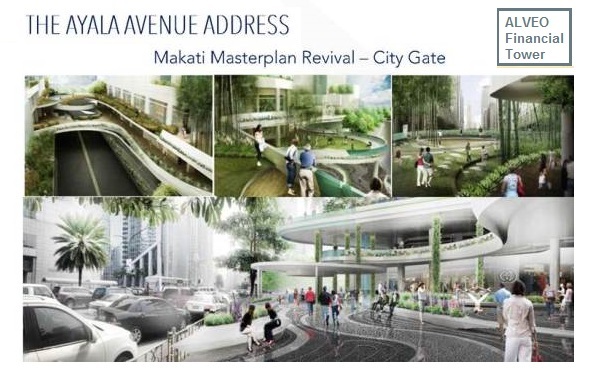 One of the key features of City Gate will be the open and green civic space that will be located at the end (or start) of Makati's elevated walkway system. This 2,600 square meter space will be a place where residents, office workers and mall-goers can relax and unwind. Mall patrons and residents can begin enjoying the retail and civic space by 2017 while the offices will be ready by 2016. Seda Suites Hotel will open its doors by 2019. Price per sqm of AFT is now at 250k per sqm according to Alveo. My client already started to earn on his AFT units, he bought his AFT units at 220k per sqm. Attending the 2nd priority selling of AFT later, there are reopened units and floors. Oh by the way, Alveo Financial Tower units will be open for leasing before turnover. APMC, us brokers, Jones Lang Lasalle and Colliers will be handling the unit leasing for AFT, same goes to Stiles Enterprise Center, Park Triangle Corporate Plaza North and South Towers and High Street South Corporate Plaza. Wow! I can't imagine driving up 16 floors up just to get to parking. You would think with the sheer number of parking floors, which is 24 in total, if one were to visit the building or even just use it to park in the Makati CBD, they will never run out of space, eh? Better yet, anybody who works in the building and nearby building should have a parking space allotted for them if so desired. I wonder how much are they planning to charge. I think that comment is just advertising spin, since the client has "earned" nothing yet. He has a paper profit, that would be severely eroded by costs, if he/she tried to capture it. Also, AFT will not be complete until 2020, so the "earnings machine" will not be turned on for some time. quarter with an impressive 7.4% increase; it contributed to the overall economy by growing at a full-year rate of 6.7%. Alabang, the ATC Corporate Center (18,270 sq m) was also finished in the fourth quarter. The vacancy rate for offices in Makati CBD remained low with only a slight decline of around eight basis points to end at 2.06%. level of new supply will exceed forecasted demand, and it may take time to absorb the excess capacity. is expected to taper off due to the completion of unprecedented levels of new office supply. The reports suggest big changes ahead - the supply rises in 2016 and 2017 are going to be huge. + In Makati, rising from 19.337 condos at 12/2015, by 4.148 condos in 2016 - that's +21.5% ! + In B.G.C., rising from 22,206 condos at 12/2015, by 6,931 condos in 2016 - that's +31.2% ! The jump from 975k sqm at 12/2014 to 1,888k sqm at 12/2018 is a huge jump of +93.6 %. Another way to look at this is to assume that every worker occupies, say 5 SqM* of office space, and as you add office space. calculation, the figures show a drop from 20.2 workers per condo at 12/2014 to 15.0 workers at 12/2018. Of course, very few Condo will have so many people living in them, and not all tenants are working - there are families too. so most of those workers will continue to commute into Makati or BGC from other areas. But the jump in commuting into BGC is alarming. My estimates show that 104,000 more workers may be commuting into BGC. The limited access roads into BGC are already choked for much of the day, if you put 63% more cars and buses on the road, the traffic jams in and out of BGC are going to be near impossible. The authorities should be thinking about getting more people into buses, rather than private cars, and they also need to begin some real progress in getting an underground traffic link between Makati and BGC. Commuting in Metro Manila has become a huge pain over the past decades. In a traffic study conducted by Numbeo, the Philippines ranked #5 as the worst in the whole world with Egypt, South Africa, Thailand, andIran being the top 4 respectively According to Time.com the average Juan spends around 2 hours commuting one way, compared to the American who spends 25 ½ minutes. Travelling from North Avenue to Makati will take an average of 1.5 to 3 hours at peak times. If you travel via MRT, expect huge commuter lines that could stretch up to 1 kilometer in the MRT station. If you travel by bus, you will feel that you are in an evacuation zone where people are fighting their way to get inside buses like canned sardines. These are but a few examples of the hellish experiences commuters are facing, daily. This problem can be attributed to the increase in workforce, inefficient public transportation (MRT and limited buses) and lack of good public infrastructure. In 2016, traffic is expected to become even worse as new government projects will start to kick in inside the metro. Arrrggghh!! What can we do about it? Lately, our team has been canvassing innovative apps that could help reduce traffic. Wave is a great solution to traffic. Unlike Uber and Grab Taxi, Wave optimizes the use of vehicles intended for mass transport. Uber, Grab, regular taxis and private vehicles carry 1 to 3 persons per vehicle and occupy alot of space on our roads. On the other hand, Wave vehicles can carry 7 to 60 people while occupying only three times the space of a car. That is more than 16x the efficiency at a cheaper cost. We strongly recommend that you help out with this initiative. For those who wish to become part of their beta launch you can register at their website:passforwardwave.azurewebsites.net. Jones Lang Lasalle (JLL) Managing Director for Singapore and Southeast Asia Chris Fossick said new office supply is expected to be high in Manila in 2016 at 870,000 sq m, growing by 10 percent to 20 percent. He said that most of the new buildings are in the central business districts (CBDs) of Makati and Bonifacio Global City (BGC) in Taguig, where there has been a shortage. This year’s supply until 2018, however, is close to the five-year historical take-up from 2011 to 2015. With the projected spike in the office-space inventory, a moderate hike in rental rates is likewise projected—this time at 4 percent, as 18 percent of the new supply in 2016 has been already precommitted. This trend could still be attributed to the ever-expanding business-process outsourcing (BPO) industry, as some locators are moving up the value-chain and require more centrally located premises, Fossick said. Based on data from the Philippine Statistics Authority, the office segment accounts for 29.4 percent of the real-estate demand in the country, largely driven by BPO at 11.3 percent. Industry sources see the outsourcing sector to generate $25 billion in total revenues by end of the year. 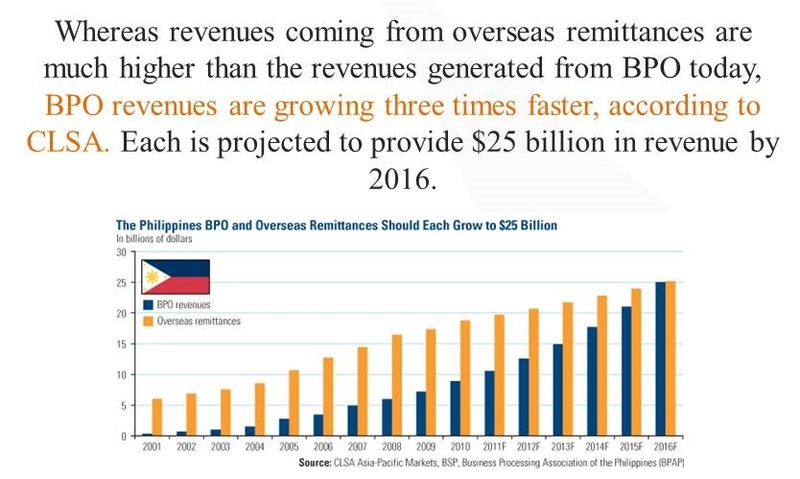 Given the top figure, the BPO industry is projected to soon overtake dollar remittances by overseas Filipino workers, most likely in two years, according to an HSBC economist in a recent briefing. Job-wise, it is targeted to hit 1.3 million full-time employees in 2016, which translates to 5.2-million-sq-m office requirement. Hence, the industry is now gearing up the “Next 10 Cities,” such as Baguio, Davao, Dumaguete, Iloilo, Lipa, Metro Bulacan (Baliuag, Calumpit, Malolos City, Marilao and Meycauayan City), Metro Cavite (Bacoor City, Dasmariñas City and Imus City), Metro Laguna (Calamba City, Los Baños and Sta. Rosa City), Metro Naga (Naga City and Pili), and Metro Rizal (Antipolo City, Cainta and Taytay). AT the start of the new year, many of those planning to move to a new home or considering buying a property must be wondering what 2016 could bring to them. In view of this, Lamudi Philippines takes a look at what are potentially good real-estate investment deals in the market today. 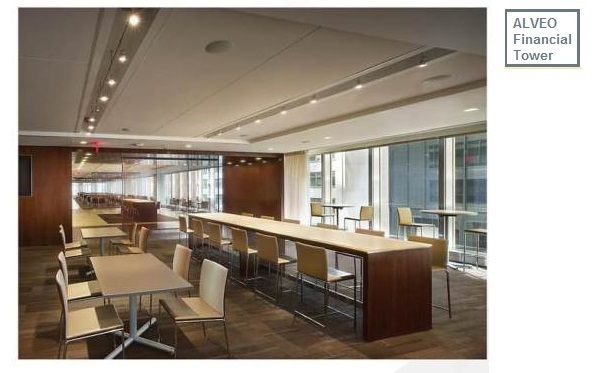 For one, Strata-titled offices are a good take, according to the real-estate portal. Contrary to the BPO office towers constructed and rented out by property developers to outsourcing firms, they can be purchased by individual investors and buyers to lease to companies. For those who want to diversify their investment portfolios, this property type makes a good business sense since there is a lack of supply of office space in the metropolis, particularly in major CBDs, placing an upward pressure on rental fees. Some of the strata-titled developments now available in the market are Alveo Financial Center along Ayala Avenue, which has 363 units and sells on average P223,000 per sq m; The Stiles in Circuit Makati (also of Alveo Land), with 283 units for P198,000 per sq m; Century Spire in Century City (Century Properties), with 283 units for P203,000 per sq m; Capital House in BGC (Avida Land), with 222 units for P142,000 per sq m; One World Place in BGC (Dai-ichi Properties), with 283 units for P136,000 per sq m; and Parkway Corporate Center in Alabang (Filinvest Land), with 390 units for P168,000 per sq m.
Amid the growing level of supply, concerns about rising vacancy rates abound. For the last few years, the Philippine office sector has been in a construction boom. Annual completions of office space in the last five years have been growing at a compound annual growth rate of 10%. Over the next four years, there is approximately 3.0 million sqm of office space to complete in Metro Manila alone. 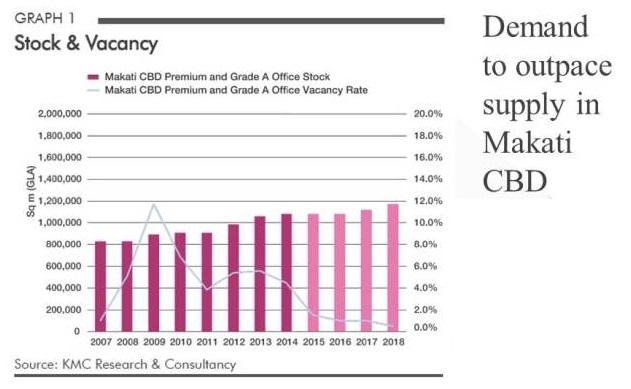 The general direction of vacancy rates in the office sector, however, can be gleaned from the healthy take-up rate, which has been riding on the back of demand from the offshoring & outsourcing (O&O) sector. In 2014 alone, gross take-up reached approximately 497,000 sqm, while new completions were only 179,000 sqm. As a result, the vacancy rate dipped further, from 4.7% in 2013 to 4.1% in 2014. Assuming modest take-up going forward, the local market could breach the frictional vacancy rate within the next three years. Office culture has dramatically evolved over the last decade. With the need for a more innovative, creative and collaborative workforce, a working environment that supports this is now a high priority for many major firms. Corporate awareness of how office space can promote efficiency is not new. But the post-2007 economic downturn acted as a catalyst for many white-collar businesses to review their use of space. The desire for a technology-rich environment which promotes innovation and faster decision making while incorporating cost savings became the focus. Hot-desking as a concept has been around for decades, but the shift to Activity Based Working environments along with focus rooms, collaborative work spaces and funky fit outs has gained momentum. The potential benefits include a more flexible work environment, cost saving, improved productivity and job satisfaction. While the workspace has taken leaps and bounds over recent years, what do we think will happen over the next 10 to 20 years? Will the workspace continue to evolve or will the pace of change plateau as it did over the 60’s, 70’s and 80’s? To increase efficiency, professional services firms will continue to reduce space per worker. This high-performance workplace will consist of a variety of settings that provide choice and balance among work modes. Remote working will continue to gain in popularity while the office will mainly be the locus of face-to-face engagement with clients and collaboration with colleagues. Technology will continue to drive workspace change. Laptops, instant messaging and wireless connectivity have enabled a more open and mobile workforce. Technology will continue to push the possibilities of communication and mobility, while the next generation of office workers will be more adept at maximising the benefits of new communications devices. Future-proofing will be a high priority, with greater flexibility to accommodate head-count shifts and evolving work styles cost-effectively within the same tenancy. Senior management will need to effectively plan for employee numbers to fluctuate over the lease period. CBDs will continue to be the epicentre of business activity. However, as populations grow, suburban centres will develop into new mixed use business hubs attracting a large array of office tenants and service providers – gyms, courier services, IT support and retailers. Premium CBD office buildings will create a vibrant and modern environment within and around the building that attracts a younger, more creative and collaborative workforce. The demographic shift of younger workers with a preference for living in the CBD and adjacent areas will reinforce this trend. Despite slower GDP growth in 2015, land values still continue to appreciate, albeit in a matching slowed pace. A report by global real estate consulting firm Colliers International shows that growth rates of land values in Metro Manila accelerated in the second quarter of the year. Land values in the Makati central business district, growing at only 0.85 percent during the first three months of the year, rebounded in the next three by growing at 2 percent. This raised its average price to Php452,704 per sqm. Values similarly rose in the business districts of Fort Bonifacio and Ortigas Center, increasing at 1.97 and 2.1 percent, respectively. While the rise in value makes for higher prices, the demand in these areas and similarly well-known CBDs also remains high. Deciding to invest in real estate in these areas allows one to hold property and sell later on when the value has risen, or rent out to individuals or entities who are in need of space but prefer not to buy. Rural–urban fringe areas, otherwise known as outskirts, are best described as the locations where the urban and rural transitions into each other. These places are commonly used for properties or structures that require a significant amount of land, like airports, factories, and industrial estates. While the incessant demand from the BPO industry and other business entities continues to result in an increasing demand for workspace, there is simply a lack of developable land in established CBDs, and even several residential areas. With that, developers have begun exploring rural–urban fringe for development, embarking on mixed-use projects to be able to meet commercial, industrial, and residential needs. Examples of these include the Arca South in Taguig, Nuvali in Laguna, and the Mactan Newtown in Cebu, among others. The growth in these fringe areas is projected to constitute more than a third of the annual new office supply on average for the next three years alone, indicative of the increased importance these locations have for local real estate, and making them very beneficial to those investing now or in the next year. Despite Makati's lead, more building is happening in BGC, and the emerging areas of Bay Area, Quezon City, and Alabang. Quezon city may have a particular appeal, because of the large pool of labor that can be accessed in the North. New supply may drive up vacancies in the next three years. THE property arm of DMCI Holdings, Inc. is venturing into the office leasing business in line with the company’s diversification efforts, with the Consunji-led firm projected to increase its residential unit launches by two-thirds in 2016. DMCI Project Developers, Inc. President Alfredo R. Austria told reporters yesterday the company intends to launch a 36-storey office project along Pasong Tamo in Makati City that will have over 40,000 square meters (sqm.) in gross leasable area (GLA), subject to the receipt of the necessary permits. Strong economic growth in the Philippines is driving demand in the real estate market, placing prime office space at a premium, with little indication that appetite will wane despite growing supply in Manila and Cebu. Net take-up of premium and grade-A office space reached a record of 459,000 sq metres in 2015, prompted by the growing business process outsourcing (BPO) sector, with some estimates placing requirements for 2016 at similar levels. Growth in the burgeoning financial and insurance sectors, meanwhile, could add as much as 100,000 sq metres of additional demand for traditional office space next year. Sector activity could gain further momentum as GDP growth remains elevated next year, with the government projecting the economy will expand by up to 7.6%. However, with a combined 1.8m sq metres of office space set to enter the Manila market over the next three years, demand could become somewhat sated. Rental returns have already eased in some high-density office districts in the capital, though overall office rents rose by an average of 7% last year, according to a February report released by property firm Colliers International. Following a slowdown in project launches and issuance of condominium licenses in 2015, real estate professionals anticipate a cooling-off period in 2016, although economic performance will remain healthy, with GDP expected to grow 6.3%, according to the Asian Development Bank. The Housing and Land Use Regulatory Board issued 14.5% fewer licences in 2015 for residential development than in 2014. Builders are partly responding to anticipated changes in interest rates — now rising after a long period of record low mortgage rates — as well as a dampening of demand and global economic forces. “Developers themselves are limiting exposure, as supply has been growing faster than demand. 2014 and 2015 were historical highs for the completion of residential development. It’s not bad to practice self-control,” Javiniar told OBG. The vacancy rate of prime residential properties remained at what JLL, a commercial real estate services firm, termed a “manageable level of 6.3%” in 2015, despite new supply. At nearly 9%, Makati’s CBD experienced among the highest residential vacancy rates. Rents there increased only 1%. 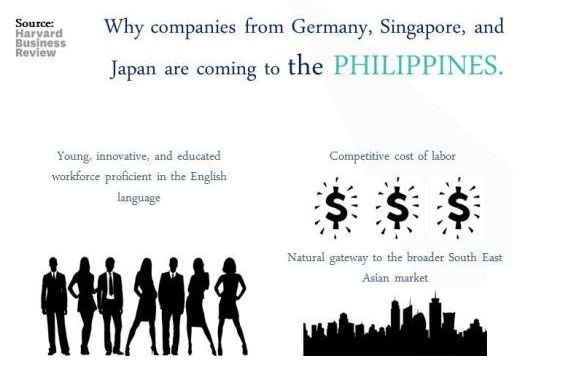 Growth in middle-market to high-end sales and leases in Manila has been fuelled by the influx of foreigners working for multinationals. 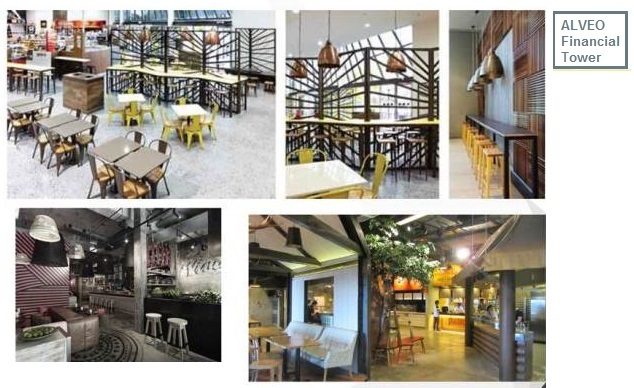 As many expatriate staff sought residences in Makati, BGC and the surrounding areas, housing projects responded by providing modern accommodations and amenities. Three high-end developments in these areas were completed in late 2015, adding nearly 2000 units. Colliers estimates that in 2015 a total of 6209 new condo units were added to the supply in Metro Manila’s five prime districts (Makati CBD, Rockwell Centre, BGC, Ortigas and Eastwood City). The vacancy rate is therefore expected to rise, reaching as high as 9% in these districts. As a result, rents might actually drop by the end of 2016. Condos in Rockwell Centre continued to command the highest rental rates in 2015, averaging P963 ($21.38) per sq metre. Up until 2018 the bulk of new supply will be in BFC and Makati CBD. MANILA, Philippines – Metro Manila office vacancy will continue to remain low until next year due to delays on the completion of several projects, according to real estate services firm Colliers International Philippines. “Year-end supply forecast was adjusted from 880,800 to 760,100 square meters due to some projects slated for completion in fourth quarter of 2016 being delayed to early 2017,” Colliers said in its first quarter office market report for 2016. “This shows there is ample space to absorb the expected demand through 2016. This assumes however, that there will be no significant delays in construction which will push completion dates further to 2017,” it added. On a location basis, Colliers said supply forecast per area and vacancy levels remained largely the same with Fort Bonifacio getting the lion’s share of the upcoming office supply. As of the first three months of the year, overall office vacancy increased from two percent to three percent. Colliers said the slight increase is mostly due to new completions during the quarter and not due to softening demand. “Despite this, there continue to be opportunities for companies to expand within Metro Manila, considering that supply levels are still at historical highs. Alternative office locations such as Quezon City and Alabang are expecting an influx of supply in the next two years. Rental rates in these locations are within acceptable thresholds for BPO/contact center companies, making them viable options,” Colliers said. Metro Manila office demand reached 155,000 square meters during the quarter and yearend demand is projected to jump 11 percent. “Similar to previous years, demand is expected to increase significantly towards the tail end of the year. Colliers sees demand growing by 11 percent this year to 704,000 square meters on the back of positive first quarter 2016 results and a 52 percent pre-commitment level for buildings due within the year,” Colliers said. "Vacancy rate for offices in Makati CBD remained low with only a slight decline ... to end at 2.06%". "Makati CBD’s overall vacancy declined further to 0.84% reflecting the dearth of available space." Around 86,000 sq m of new office space went online in the third quarter of the year, bringing Metro Manila’s stock to about 7.8 million sq m as of end-September. Five West Campus. The other buildings completed during the quarter were One Felicity Center in Quezon City and Scape in the Manila Bay Area. No new office space was delivered in Makati and Ortigas CBDs. Makati CBD’s overall vacancy declined further to 0.84% reflecting the dearth of available space in this market. Vacancies in premium buildings rose slightly to 0.8% from 0.5% following the increase in vacancies in the Enterprise Center. However, this was offset by lower vacancies in Grade A and Grade B office buildings. Strong take up was recorded in Petron Megaplaza, Alphaland Makati Tower and 88 Corporate Center. Businesses registered with the Philippine Economic Zone Authority (PEZA) are entitled to a holiday from income tax and local taxes for four to eight years. After that, they are subject to 5% tax on gross income (sales less direct costs) in lieu of all local and national taxes. Businesses that are registered with the Subic Bay Metropolitan Authority (SBMS) or Subic Bay Freeport Zone, which administers the economic zone established by the conversion of the former United States military base in Subic, are also subject to the special 5% tax, but are not entitled to tax holidays. The same benefits are accorded to qualified industries registered with the Clark Development Corporation and located in the Clark Freeport Zone. KMC MAG Group is founded and managed by two Americans that have been involved in the BPO, IT, consulting and outsourcing industries in Makati, Philippines for a combined 12 years. We specialize in commercial leased office space, seat rentals in call centers and condos in the Philippines, specifically Metro-Manila (Makati, Manila, Fort Bonifacio, Ortigas, Alabang). We are a licensed professional real estate brokerage firm with experience in dealing with both local and foreign companies setting up in the Philippines. Our team of licensed real estate brokers specialize mainly in office space for Call Centers, IT and other BPO businesses in Metro-Manila, Philippines. High (?) priced Serviced offices in this Grade-B (older design) building: Over 3,000 Peso psm. Wow ! Seat leasing is a popular option for companies setting up business in Makati, as it is not only cost effective but it also allows companies to start up operations immediately, without having to worry about additional set-up expenses. Located on Paseo de Roxas, BA Lepanto is a grade-B commercial building. Located opposite the Ayala Triangle and within 2 minutes walk of Ayala Avenue and Makati Avenue, this commercial building is situated in a highly accessible location. With a floor plate of 1025sqm, 2 basement parking levels and 8 elevators, the building has 24/7 security, a coffee shop and bank on the ground floor. On the penthouse of the building is home to the newest cocktail bar which boasts panoramic views of Makati city. Most prestigious buildings competing for premier office users with rents above average for the area. Buildings have high quality standard finishes, state of the art systems, exceptional accessibility and a definite market presence. Buildings competing for a wide range of users with rents in the average range for the area. Building finishes are fair to good for the area. Building finishes are fair to good for the area and systems are adequate, but the building does not compete with Class A at the same price. Buildings competing for tenants requiring functional space at rents below the average for the area. What is the definition of Grade A office in Singapore? "Essentially, there are no established definitions for office space grades. However, there are general classifications..."
"These definitions solely depend on the criteria set by a particular real estate firm. It may include: location, floor area, design, building specifications, environmental performance, security, and other services and amenities." 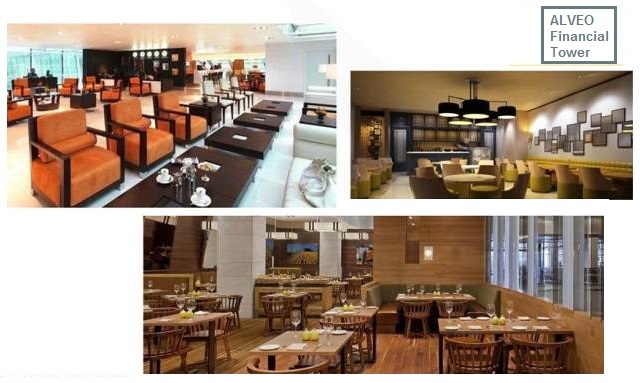 Prime (Premium): Buildings included in this cluster generally feature high quality interior and exterior finishing. They have large floor plates of not less than 1,000 square meters. Parking space and elevator service is very sufficient. There is also 100% back-up power. These are centrally located in business districts. For final touches, they have a variety of exceptional and state-of-the-art amenities aside from the usual, basic building facilities. Grade A: This type of building share very similar attributes with that of Prime buildings. The main difference is the lack of extra amenities that are featured above. Grade B and C buildings: The architectural structure and facilities of Grade B and C buildings are of lower quality compared to Grade A buildings. Floor plates are much smaller. In addition, back-up power and parking is normally limited. Compared with other office grades, rents are lower. Grade A: High quality building located within the CBD, building age, professionally managed, 100% back-up power, building specification, good tenant mix/profile. Grade B: Good quality building located within or near the CBD, building age, not professionally managed, 50% back-up power, average handover condition, average tenant mix. Six buildings in Makati City fulfill these requirements, namely – Alphaland Tower, Enterprise Centre, Philam Life Tower, RCBC Plaza, Tower 1 and Exchange Plaza, and the Zuellig Building. 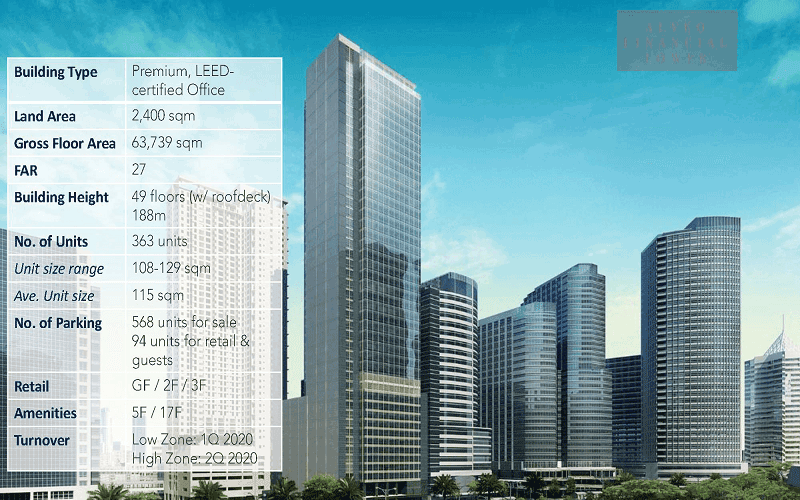 In Bonifacio Global City, Sun Life Centre and Net Lima showcase the magnificent features of a premium grade building. “The vacancy rate dropped to 2.2 percent in the third quarter of 2016 ..."
The Philippine office property market may see a continued rise in rental rates over the short term despite the growing demand from outsourcing and offshoring companies. This was based on the latest Asia Pacific Property Digest of JLL, a global professional services and investment management firm. According to the report, 10 office developments are expected to add 348,000 sqm to total stock in the next two quarters. This will likely push rent growth rates down as the large incoming supply comes on stream, the JLL report added. However, the market is expected to likely “remain tilted in favor of landlords with rents expected to continue to increase amid ongoing demand from the outsourcing and offshoring sector and a low vacancy environment. Many upcoming projects in Makati central business district (CBD) and Bonifacio Global City (BGC) have high pre-commitments,” it further said. Based on JLL’s latest report, leasing activity remained robust in the third quarter, pushing rents to rise by 2 percent to P965 per sqm per month, compared to the previous quarter. Capital values posted an increase of 2.2 percent quarter on quarter to P126,115 per sqm from the July to September period, up from the P123,400 per sqm in the previous quarter. “The Philippines remains a popular FDI destination in the region, on the back of firm economic fundamentals and robust domestic consumption,” the report stated. The JLL property digest further reported that the net absorption in the Makati CBD and Bonifacio Global City* remained high in the third quarter at 43,000 sqm. However, the net take-up slid from the 59,800 sqm recorded in the second quarter due to increased occupancy levels in the existing and newly completed developments. Developments slated for completion for the said period faced delays. The office developments that are expected to be completed in the last quarter of 2016 included the Inoza Tower, Ore Central, Vista Hub and W City, all of which are located within the BGC. 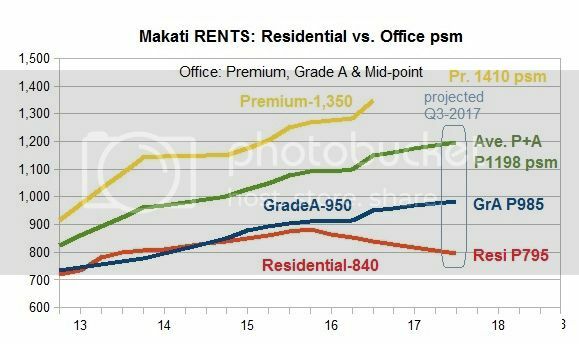 Total for Makati + BGC for 2017-2020 = 1,120,450 / 4 years = 280,113 pa, or 70,028 sqm per Qtr. Up from about 50,000 per Qtr in 2016, but 2017 will be heaviest at about 100,000 per Qtr. "10 office developments are expected to add 348,000 sqm to total stock in the next two quarters"
- is that for Greater Manila?? From 4Q16 to 2020, the estimated office space to be added to the existing stock is 2.8 million sqm. Notable developments expected to complete include World Commerce Plaza by MEG in BGC, SM Three E-com Center by SM Prime Holdings in Bay City, Megablock BPO I and Megablock BPO II by Filinvest Land Inc (FLI) in Alabang, Alveo Financial Tower by Alveo Land, a subsidiary of ALI, in Makati CBD, and Robinsons Cyberscape Gamma by Robinsons Land Corporation in Ortigas CBD. Taipan Lucio Tan plans to build a world-class, high-rise office tower on the vacant property at the corner of Buendia and Paseo de Roxas and, according to the grapevine, eventually relocate the corporate headquarters of the Philippine National Bank there. Owned by the PNB, the corner property is currently used as a parking lot after the bank foreclosed the 8,000-square-meter lot from musician Ramon "RJ" Jacinto amid a nasty court battle. According to the grapevine, the taipan has already commissioned the renowned US architectural firm, KPF, the same architectural group behind LKG Tower and GT International Tower along Ayala Avenue, for the planned multi-billion redevelopment. KPF is also the same architectural force behind such regional landmarks as the International Commercial Centre in Hong Kong, the Marina Bay complex in Singapore, and the MGM Cotai casino-hotel in Macao. PNB is currently headquartered along Diosdado Macapagal Boulevard in Pasay City, sharing the building with sister company Philippine Airlines and tenant US Agency for International Development. According to the grapevine, the plan is to keep the PNB backroom and support functions at the current headquarters, with the move to Makati limited to the senior management and board officers. To recoup the cost and help pay for the maintenance of the planned building, the taipan plans to lease out a number of floors to third-party tenants, as well as invite its joint-venture companies such as the PMFTC cigarette company, now leasing space at Enterprise Center, and the newly-formed AB Heineken partnership to relocate as well. 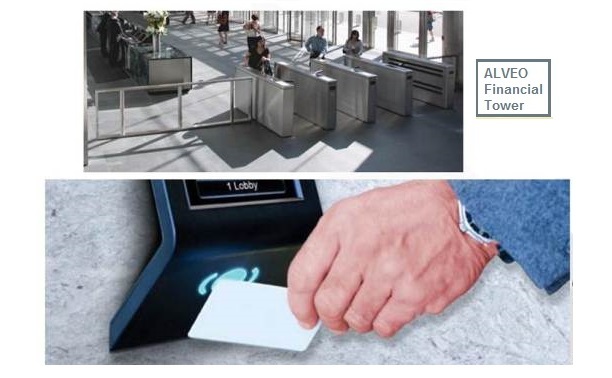 That's 20X the "consolidated footprints... of global banks such as JP Morgan Chase, DKS, HSBC, and Citibank "
“Winds of change,” global financial giants are increasingly opting for more cost-efficient locations to house their backend operations in line with efforts to contain costs. In short, the banking, financial service, and insurance sector (BFSI) is turning increasingly to offshoring and outsourcing to to help minimize costs. And this growing demand, in real estate terms, is seen to translate to an additional 130 million square feet of office space requirements in major cities in Asia Pacific up to 2020. “The banking and financial services industry is under intense pressure following the global financial crisis. Amid all the regulations and increased oversight, banks are increasingly shutting down non core activities with lower margins,” the global real estate advisor said. “Accordingly, many global banks are rightsizing their operations or shifting back office operations to non-core locations or lower-cost emerging markets, such as India and the Philippines,” it added. And the Philippines, along with India, is reportedly well poised to ride these waves of technological breakthroughs in the BFSI sector, which has seen an increasing shift to back-office operations to non-core locations or lower-cost emerging markets, the report stated. It was estimated that the business process outsourcing (BPO) sector is seen to generate another 100-million sq.ft. of office space requirements in India and the Philippines up to 2020. Of this office space, around 30 to 40 percent will be attributed to offshoring activities in the banking, financial services and insurance sector. “Notably, both countries have the requisite soft skills, aside from traditional BPO skills, that should drive BPO sector growth in the future,” Cushman & Wakefield said. According to the report, the Philippines has made significant strides in terms of infrastructure, business environment, and tax and regulatory measures, and is gradually moving up the value chain to broaden the gamut of functions it offers in business process management (BPM) and information technology (IT). “We have observed the increasing share of knowledge process outsourcing (KPO) services in the country which encompasses accounting, animation, insurance, legal services, engineering, architecture, game development, and software development, among others,” the report stated. “It is interesting to note that banking and financial services constituted nearly 41 percent of the IT-BPM services portfolio followed by retail, telecom, and healthcare in 2015,” it added. Cushman & Wakefield pointed out that global banks such as JP Morgan Chase, DKS, HSBC, and Citibank have established offshoring operations in the Philippines. These firms collectively have a consolidated footprint of approximately 1.8 million sq.ft. spread between the Makati central business district and Bonifacio Global City, and are expected to continue growing their presence here. Citing data from the Bangko Sentral ng Pilipinas (BSP), five foreign banks are reportedly interested in establishing their presence in the country . Seven banks meanwhile have already secured permissions to open a branch or acquire a local bank. These were identified as South Korea’s Shinhan Bank, Woori Bank, and Industrial Bank of Korea; Taiwan’s Yuanta Commercial Bank and Cathay United Bank; Japan’s Sumitomo Mitsui Banking Corp.; and Singapore-based United Overseas Bank. It was projected that full-time BPO employee count is expected to hit 2.6 million by 2020, more than double current levels. If this target is reached, the BPO industry alone would likely need at least another 50 million sq.ft. in leasable space from 2017 to 2020, according to the report. Cushman & Wakefield meanwhile pointed out that the industry’s expansion is not confined to just one location. “Most BPO firms do not necessarily require central business district locations, although accessibility to transport, retail outlets, and other support businesses like banks, hotels, and entertainment are important,” the report stated. Other cities, like Cebu, Davao and Iloilo, where most major developers are currently expanding, are also benefiting from alternative location movement, the report added. “The presence of comparable facilities and good quality of labor (the province of Cebu is considered to be the educational hub of Central and Visayas) that can compete with Metro Manila provides a solid incentive for firms to relocate to the region,” it added. “While the Philippines has emerged as a strong competitor to India over the last few years in the voice business, India will likely reap benefits from offering specialized services, as well as from strong domestic demand,” it stated. “Overall, India’s cost differentials and ability to boost the ease of doing business and reduce infrastructure bottlenecks will dictate the growth of its offshore centers. On the other hand, the growth of the Philippines and its ability to move up the value chain to offer specialized services of higher value and critical to the core operations of clients, will boost the country’s IT-BPM market,” the report explained. Jones Laing Lasalle (JLL) has included Metro Manila in ts top 30 markets for commercial property for the first time. The original design for Jaka Tower had a curved frontage, shaped with columns. "It just boggles the mind all the trouble they are going through just to make this building a box! It looks like they continue on with the reinforced concrete structure as if it was the old design with the curve but with the exterior steel attached to it!'" But at least the new design seems to work. And buyers liked it enough to pay P 225k - P 250k psm. Rising Office rents, with little supply in Makati helps - especially on Ayala Avenue. For 2012 to 2016, take-up, completions and vacancy rates are year-end annual. Future supply is for 2017. Note: Manila Office refers to the Makati CBD and BGC Grade A office market. primary driver of demand for office space. Office and High Street South Corporate Plaza Tower 1, all in BGC. Rents increased 1.4% q-o-q to PHP 979 per sqm per month in 4Q16 amid a tight vacancy environment. attractiveness of the country to investors. which may result in the slowing of rent growth. Despite the rapid emergence of new business districts in the Metro Manila property market for the past several years, Makati City still remains to be the preferred choice of companies seeking to set up office due to several factors such as convenience, security and local government stability. Jones Lang Lasalle Philippines regional director and head of project leasing Sheila Lobien said that Makati is still the go-to destination for most top-tiered companies. "Most head offices of top corporations still prefer Makati as their head office address primarily for several reasons: (1) Makati is very secure, (2) most business head offices are also located in Makati (3) public transport is well suited for all types of employees, (4) stable city government and thus predictability in dealing with local/city officials and (5) commercial and retail establishments such as hotels, restaurants and malls are also in place,"Lobien said. As the robust Business Process Outsourcing(BPO) sector remains to be a driver of the demand in the country's office sector, a number of BPO firms contribute to the takeup of spaces in Makati City. However, Lobien noted that these are mostly BPO firms that offer higher value services. "In our most recent experience in handling under exclusive leasing a property along Ayala Avenue, companies high up in the value chain of a BPO company also prefer a Makati office—legal, engineering and architectural BPO firms, with highly qualified professionals, situated their BPO office in Makati. These lawyers, engineers and architects cannot be placed in a mid-end type of office," Lobien expressed. Also, there are numerous BPO financial and insurance institutions that prefer a Makati address, according to Lobien. "Top multinational companies also want to have their BPO offices in Makati as it is a well-known business district which they also equate with local government stability, security and convenience for their employees," the regional director said. Lobien said that the Makati office market remains to be a landlord's market, as seen in the district's historically low vacancy rate of 4 percent, due to the high takeup of office spaces the city. "At the moment, only about 4 percent of office space is available for occupancy in Makati and these are located usually outside of the center or core of the Makati CBD which is along Ayala Avenue/Paseo de Roxas/Makati Avenues," Lobien said. 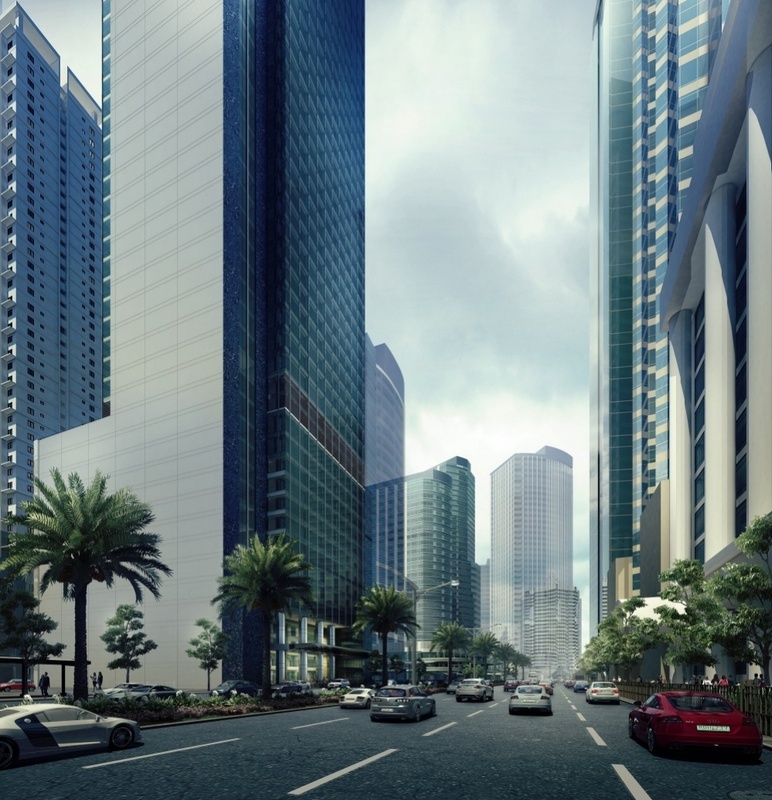 Apart from the Makati CBD, there are still areas in Makati that are waiting to be developed. "Outside of the core, there are areas that are waiting for development such as those in the Buendia/Rockwell/Pasong Tamo areas and in further south of Ayala Avenue, the former Sta Ana race track," Lobien said. One of these areas to be developed in the next few years is the 21-hectare Circuit Makati by Ayala Land Inc.
"Considered to be a premier entertainment hub in the heart of Makati, we have seen the master plan and situating offices in such a development will be very advantageous for locators—BPOs and non-BPOs alike," Lobien said.